‘Tacho file download’ is the new way of collecting Driver Card and Vehicle Unit data from digital tachographs for analysis and reporting using TrustTrack. It enables operators to download driver card files and vehicle unit data automatically to a set schedule, safeguarding compliance, cutting costs and minimising time spent managing the whole process. TrustTrack takes away the headaches associated with managing and controlling the time-consuming process for downloading digital tachograph data. This is a problem for fleets of all sizes but especially when drivers, vehicles and depots are spread around the country. TrustTrack eliminates the need for depot based download devices and has enabled existing clients to save 26 man-hours, per vehicle, per year downloading data by using it. Remove the administration burden and bottlenecks associated with vehicle and driver card data downloads by remotely downloading digital driver tacho data. Remote Digital Tachograph Download has been designed to reduce administration and lost time involved in the collection and management of tachograph data. It allows data to be automatically obtained while vehicles are out on the road, removing the need for the driver to present their card at a depot or for the periodic manual downloading of VU data using a USB stick which is often time consuming and difficult with vehicles being on the road or remotely located. With the time consuming process of downloading data becoming more of a logistical issue, as drivers and vehicles are spread across the country, the option of a fully automated remote downloading facility is increasingly becoming the preferred choice. 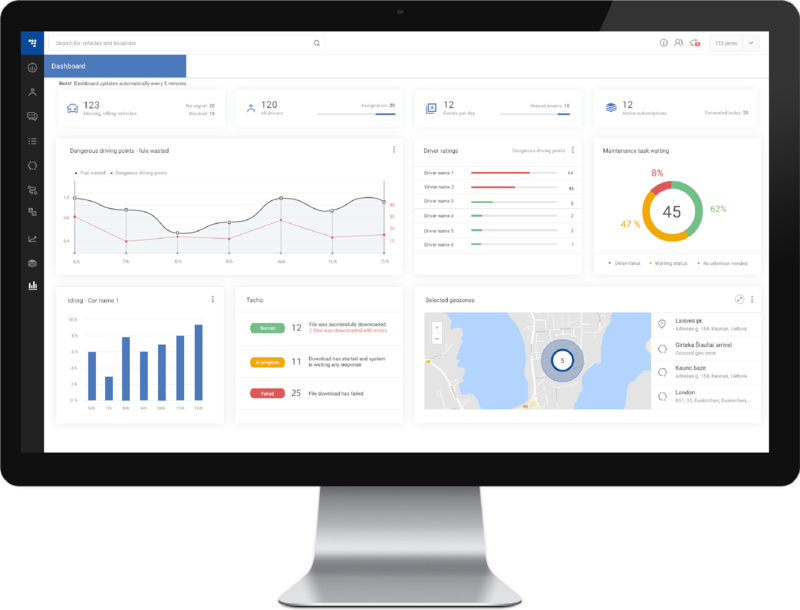 ClockWatcher’s system of gathering driver and vehicle data for an entire fleet eradicates the need to manually retrieve the data from vehicles or driver, thus eliminating the risk of ‘missing data’. Our new service requires the digital company card to be inserted to a PC locally and then via FTP, the system will automatically upload the data from TrustTrack directly in to your ClockWatcher Elite Dashboard. The data downloads can be configured to you precise requirements i.e. at any point in time, pulling data from the entire fleet in turn creating a single point of information. Our fully managed service retrieves data for analysis and report generation and offers a ‘Full End to End Solution, including Vehicle Tracking.